GeoStream Global International Ltd works to deliver vital remediation services to clients in diverse sectors ranging from oil, gas, construction and heavy industry throughout the world. 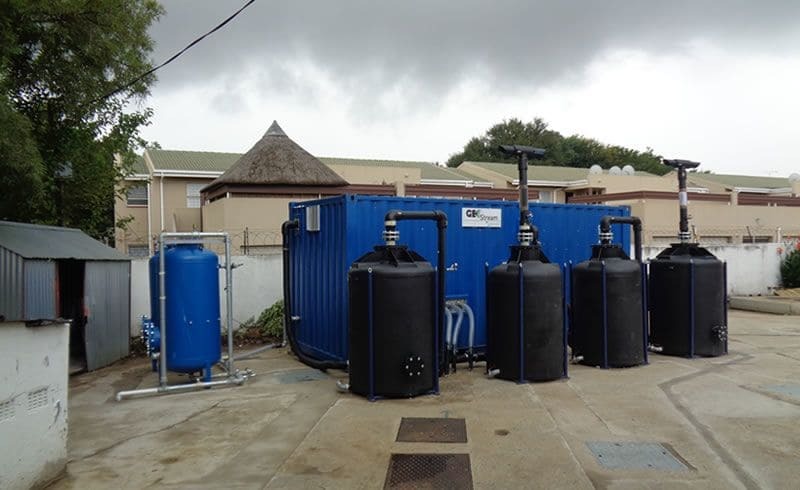 Our work in Africa recently saw GeoStream design, manufacture and supply six in-situ remediation plants for a large oil company in South Africa. Tailor-made to the client’s strict specifications, each plant is installed at petrol stations predominantly in the Johannesburg and Cape Town areas. The plants are equipped with GeoStream’s Multi-Phase Extraction systems, using a complete water treatment line to eliminate volatile hydrocarbons, as well as a settling tank, oil/water separator, stripping unit and activated carbon filters for water and air. Featuring touchscreen PLCs with remote control 3G connectivity, the MPE systems allow the client and GeoStream’s engineers to visualise and monitor the system status and parameters in real-time, on or off-site. Three Soil Vapour Extraction systems – one standalone, another combined with an Air Sparging unit and a third including a skimming unit – are also being used on-site. This enables the extracted air and condensation water to be treated by activated carbon filtration, while the skimming unit extracts LNAPL using pneumatic active skimmers, transferring it into the storage tanks. All plants are fully automatic and work 24 hours a day, with all necessary protective system devices to detect any unwanted activity and stop plants if required. Our bespoke remediation plants are meeting our client’s needs on a daily basis, providing active insights that ensure any contaminated land is treated effectively and swiftly. For more information on GeoStream’s work at home, follow our dedicated LinkedIn page.